My due date for my Little Mouse was February 27; however since I opted for another C-section I knew that my date would change. I thought maybe the Doctor would pick Valentine’s Day and I’d have a little cupid on my hands. My fear was she would choose February 11. My grandmother died on February 11th and for some reason, I didn’t want to have my baby on that same day. Realizing that I didn’t have a choice, or else I had to deliver with another doctor (which I didn’t want), I accepted February 11th as the Little Mouse’s birth date. 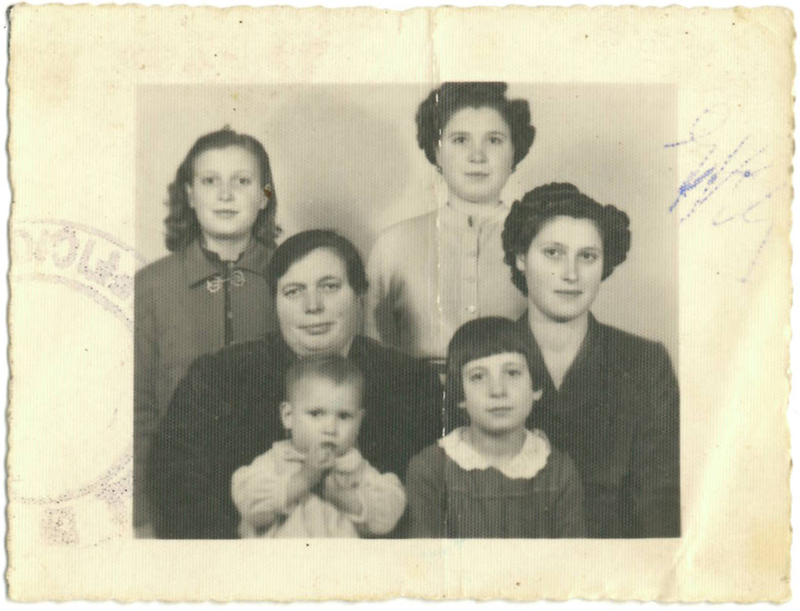 My maternal grandmother was a mother of five girls, a Nonna to 14 and a great grandmother to 11, at the time of her death. 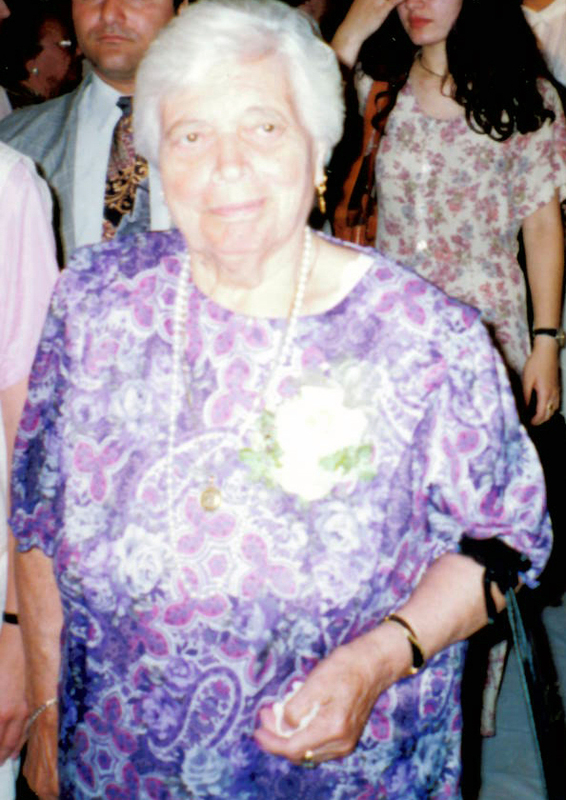 She died on February 11th, 2000 at the age of 91 and was buried on Valentine’s Day, in a blizzard. She had been a widow for over 40 years and was a self-reliant, strong and independent woman. One of my cousin’s and I read her Eulogy that day and it was probably the hardest thing I’ve ever done. But we had fun writing it, because we were able to laugh and reminisce about all the memories we had, the things she did and the impression she left on all our hearts. 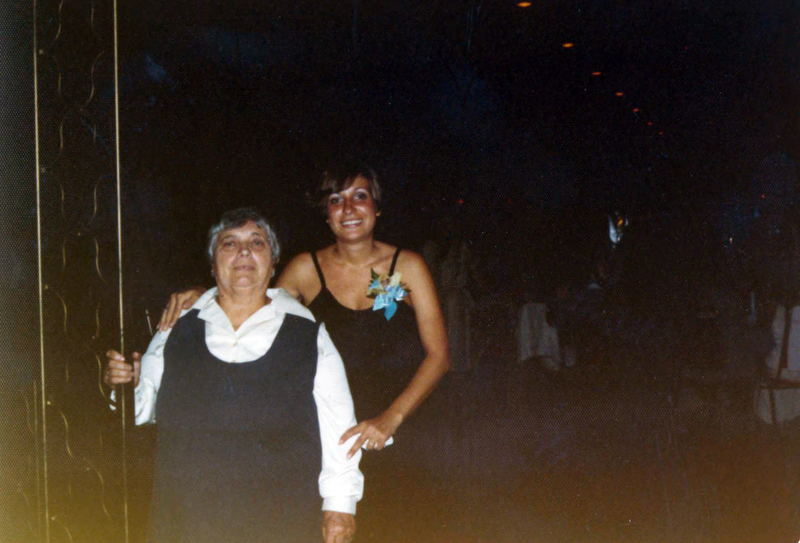 My Nonna A. was a simple and yet amazing woman. 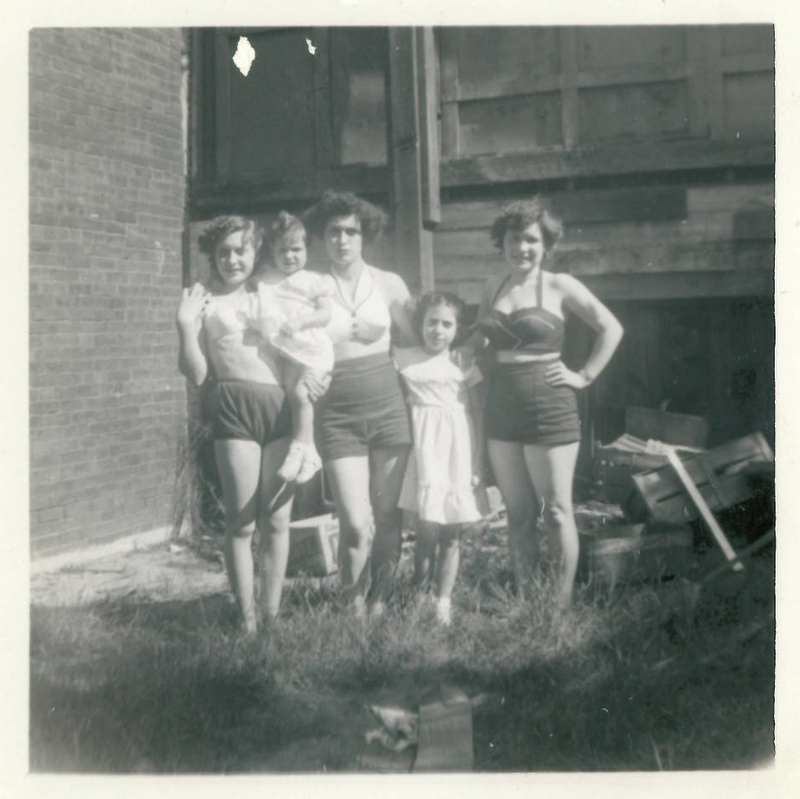 She sewed her own clothes, baked like nobody I knew and was a naturopath, well before the term was even coined. She was always crafting something, whether it was embroidery, knitting, crochet or mixing her magic potions for any ailment her family had. As a little girl, I spent many Saturdays at her house, communicating mainly with hand motions, since she really didn’t speak any English. She didn’t drive, but could take the subway and go anywhere she needed to go. 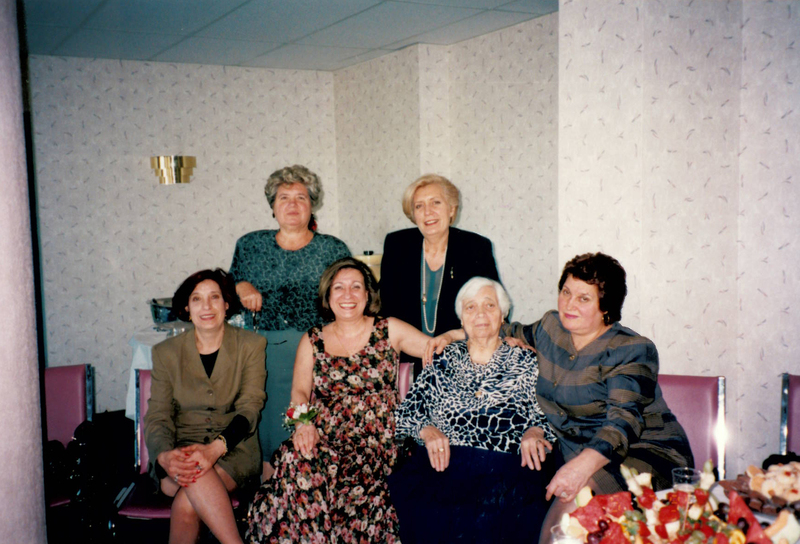 She also enjoyed going on the many excursions and trips held by the local Italian old-age home. She lived on her own and loved to tend to her small patch of garden she had in the field behind her apartment. I would often go with her, as she pulled her two-wheeled shopping buggy and remember how tall her sunflowers were. She loved those flowers. She also loved the 20 Minute Workout and would usually stop what she was doing to work out with the girls every afternoon. The radio would always be on, blaring out one Sicilian tune after another, and she could often be heard humming and singing along while she rolled out the dough to one of her famous cookie recipes. And she loved Vicks Vaporub. According to my Nonna, that stuff cured everything! She instilled that in all of us, so much so that I think she was buried with about five jars of it. I think of her every time I use it. 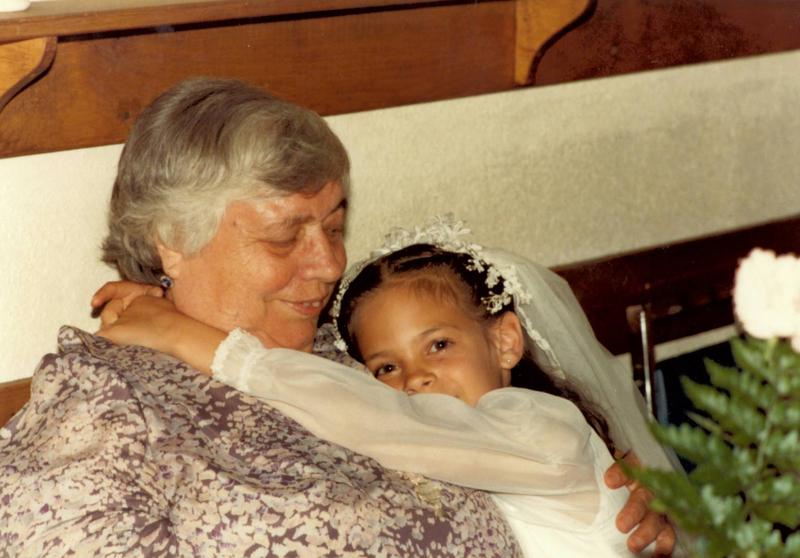 I miss the Easter bread woven around a hardboiled egg and covered in rainbow sprinkles that she used to give us every year, the cookies that filled the Flour and Sugar containers in her kitchen, the copper bowls that adorned her bookshelf with all the pictures of all her grandchildren. 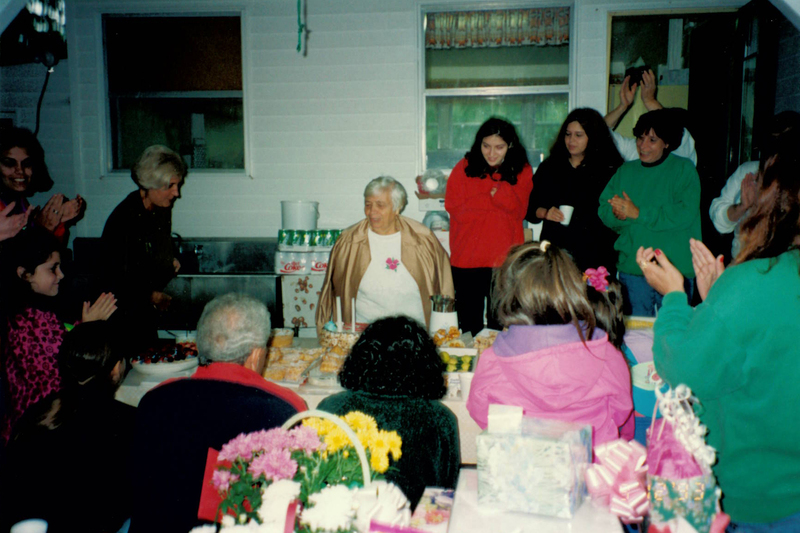 I miss helping her bake Cucidati (fig cookies) and watching her dance. 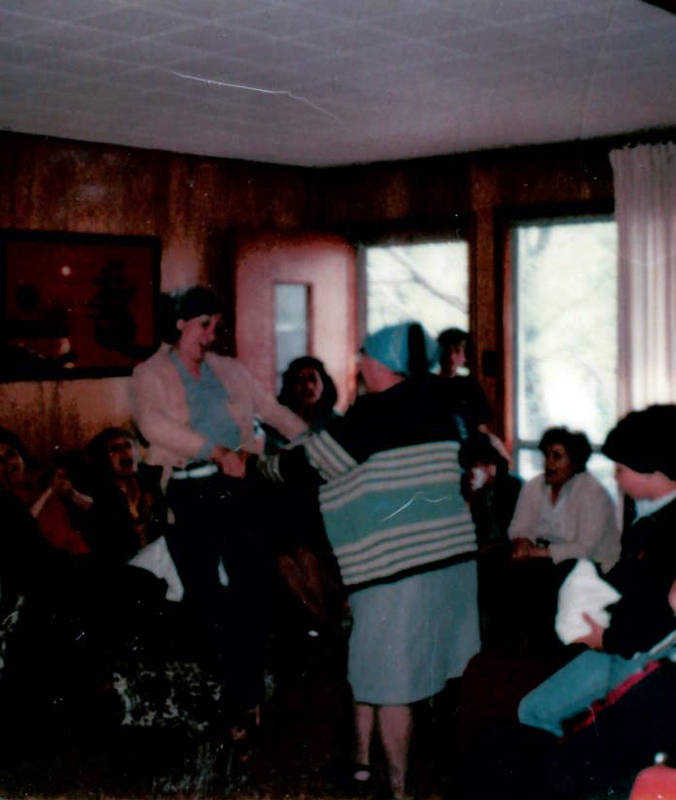 How she loved to dance! I cherish the clothes she made for my Cabbage Patch Kid, the red sweater she knit me when I was 6, a colourful blanket and her star and round cookie cutters, all of which I still have. My fondest memory is definitely of her waiting for us at her open apartment door as we got off the elevator when we came to visit. We would run down the hall to her at full speed. And she would be there with handkerchief tied around her head, arms open and huge smile on her face. She would laugh and laugh and she enveloped us into a big hug. She didn’t get to meet my husband, or my kids. I do find comfort knowing, that while I fought it in the beginning, I cherish that my Little Mouse was born on the day she died. I feel that she is still connected to me because of that. Here are some pictures of her birthday celebrations. 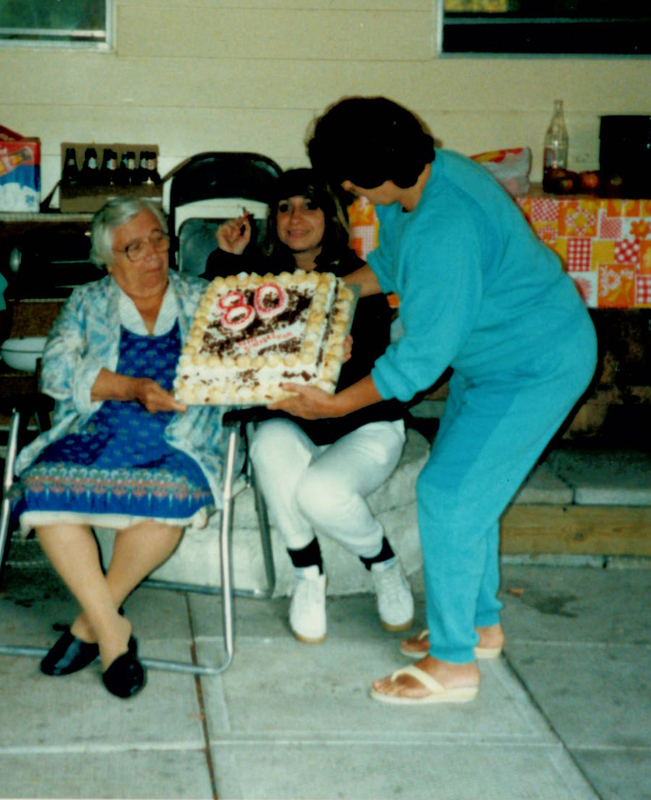 Thanks for writing this, Tania – I loved reading about your Nonna. I had a Nanny I felt much like this about myself. Losing her was one of the worse things that’s ever happened in my life (still – even 30 years later). But our grandmothers have a funny way of making their ongoing presence felt, I think. 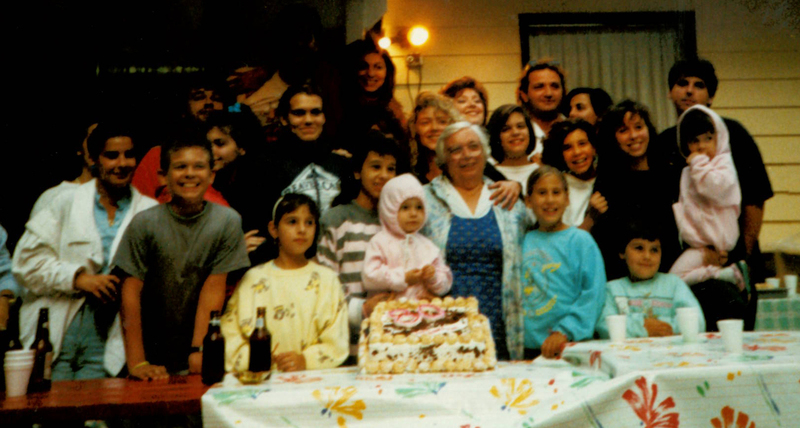 Somewhere, your Nonna is laughing on your Little Mouse’s birthday. After all, we all go on (as does her memory) and I imagine she would rejoice to know you have a full and happy life. I’m sure she’s somewhere smiling over you and your daughter as you blow out the candles. Thank you for saying that. I do imagine she is laughing and smiling over all of us. She was an amazing person, and her death hit me hard as she was the first grandparent I lost. I think Nonnas and Nannys and Grannies are all together somewhere talking about their grandchildren!